After an intense 5 days that saw the 4 Open Qualifiers go down, the Rocket Baguette Grand Prix is ready to move on to the first round where the 32 survivors will try to find their way into the following stage of the tournament. Rival Series teams were expected in the RBGP and they did show up. Method, Copenhagen Flames and Savage! each won one open qualifier. Bubble teams have the opportunity to shake the established order and several of them showed-up. First Picks B) managed to take the remaining qualifier, while teams like Epsilon Esports and WithMyBoyzs! have found their way into the grand finals of the qualifiers. 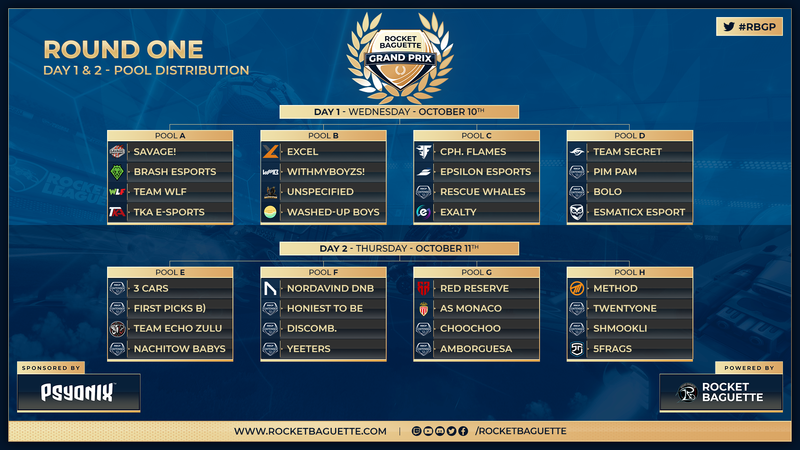 Now, the Rocket Baguette Grand Prix is ready to take on its first round, composed of 8 pools of 4 teams each that will all battle in a double-elimination bracket. The top 2 teams of each pool will move on to Round Two, while teams finishing 3rd and 4th of their pool will play in a placement bracket next week in order to establish the most precise ranking of the 32 final RBGP teams. All the matches will be BO5 and the players are expected to show-up and check-in on smash.gg at 8 pm CEST. 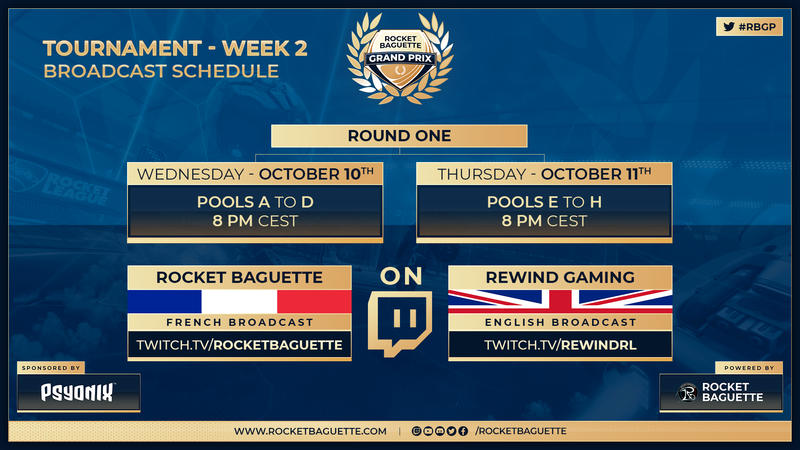 RBGP Round One will be broadcasted live in English on twitch.tv/RewindRL and French on twitch.tv/RocketBaguette, next Wednesday & Thursday.